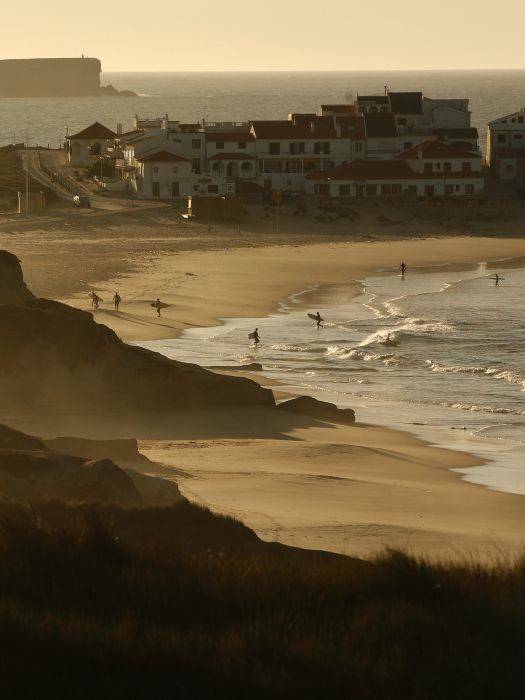 One hour driving from Lisbon’s airport you will find Peniche Surf Camp. Around our surf base you can find a mix of long sandy bays and a couple of reef breaks. Peniche Surf Camp Base has got ocean view and is located 100 meters from 3 excellent waves to surf. In a 15 Km radius you have more than 20 waves to choose from, being one of them described as the best left hander in Portugal, Super Tubes. The concept, philosophy, and culture of any given Surf Camp has got to do with the proximity and socialization that the Surf Campers have with each other, so that the experiences and sensations related to surf can be maximized. 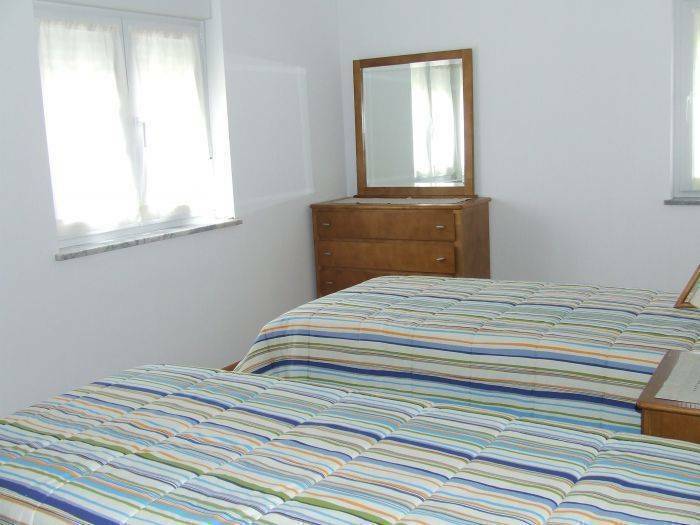 Our lodgings try to promote this contact, this sheerness in a comfortable and relaxed way! We have several kinds of accommodation: we have shared accommodation, like a youth hostel where it is cheaper and you will socialize with surfers from all over the world. You can also book a private apartment. All our housing is located near the beach and several surf spots. All the apartments are self catering. On the outside you have a space with chairs and tables, some games, literature etc. where you can socialize with the other campers. The Surf school is based on you, our experience and professionalism, on our surf monitors qualified by the Portuguese Surfing Federation and the best surf materials available. The school is open to people of all ages, skill levels and nationalities. You will be taught by highly qualified and experienced surfers and surf teachers who also are life guards. Each week you will have 5 days of teaching with 2 surf sessions a day. Everyday you will be on the search. Peniche has so many waves that it is possible to surf several surf spots on the same day. We just have to be on the right spot at the right time. At the same time you are surfing you are visiting different beaches. You'll never get bored. Has A BBQ area where Peniche surf camp makes 2 BBQs per week. A small surf shop near the reception area. Our base is equiped with all the necessary tools for the travelling surfer. We have surf racks, outside showers, wetsuit hanging facilities, cloth washing machine, and plenty of space to enjoying the sun and the music. We also have a balcony from which you can check the surf in Cantinho da Baía and Prainha. The Surf Camp has excellent coverage for wi fi connectivity. Shared accommodation: Our surf base is divided into apartments. Each apartment has got 2 or 3 rooms, a W. C. and kitchen where you can cook your meals. Some rooms take 2 persons, others take 4. You just have to choose. Each apartment has got a TV and DVD. The Surf Camp base is all covered by a wireless connection to the internet. We provide the sheets, blankets, and towels (face and body). The two people rooms can be adapted to double beds, for couples. Every apartment has a fully equipped kitchen, with stove, refrigerator, table and chairs, and all the necessary equipment. We provide the basic stuff, meaning kitchen towels, dish washing liquid, matches and gas. Private apartments: If you wish you can book private accommodation. 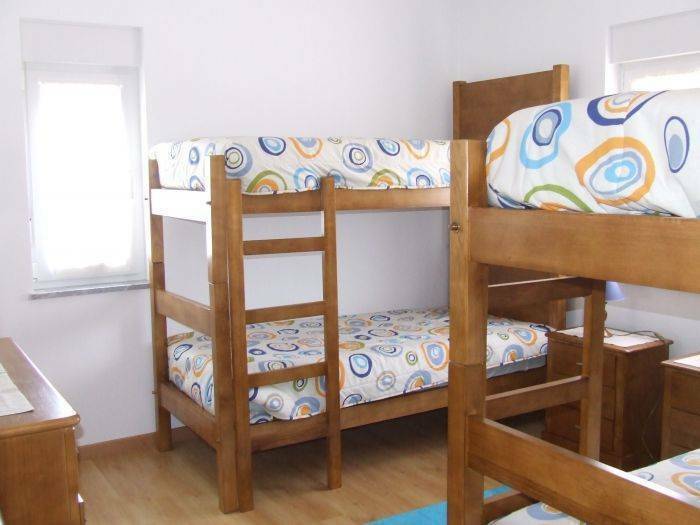 These apartments are at walking distance from the Surf Camp Base and our reception. They are also at walking distance from the main surf spots. There are one, two and three room apartments. All of them have kitchen and W. C. Peneda House: Located 50 meters to the north of the surf camp base you will find this top quality house. It has got four rooms, a leaving room, a dinning place, a terrace with a grill and a balcony with ocean view!! It may fit up to twelve persons. This house is ideal for groups or families!! Voilá House: This spacious house is located very close to the Bay and 500 meters from Peniche Surf Camp. It is also very near to the supermarket and two surf shops. Peniche City is at 5 Km away. This house has got a big living room, four bedrooms and two patios, one at the front and another at the back, perfect for BBQ’s or simply relaxing. Also has got a space for a car. It can accommodate 7 people. It is excellent for a big family or a group of friends. Beach House: If you like to fall asleep and wake up to the sound of waves, if you like to get out of bed and look out of your window to check the surf conditions and beautiful views, then you will love this accommodation. This house is located right in front of the beach and two popular surf spots. The surf camp base is situated 150 meters just down the road. You will have a private ensuite room, with TV, and you will share the living room and kitchen with other guests. This lovely beach front house has got 5 rooms. This type of accommodation is ideal for guests who like to have more privacy and love ocean inspiration! Fisherman House: This house is located in Baleal Island right in front of the ocean and a small beach, 300 metres from the surf camp base. 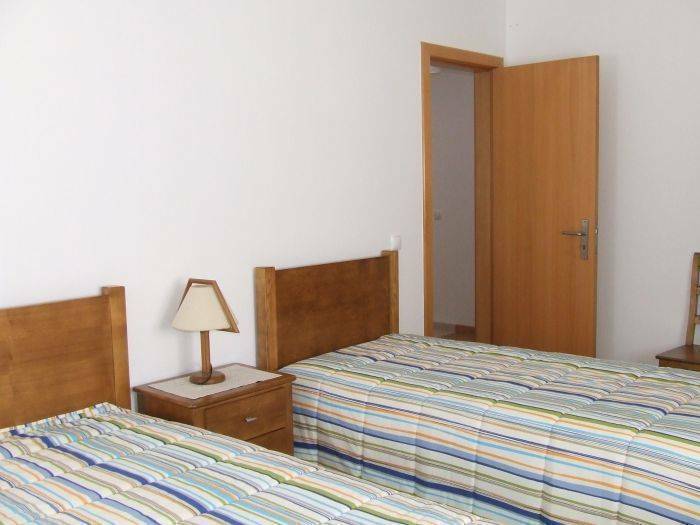 It`s ideal for couples as it got one bedroom with a double bed. It has also a living room and a small patio outside to enjoy the sun and the smell of the ocean. It is a self catering house. 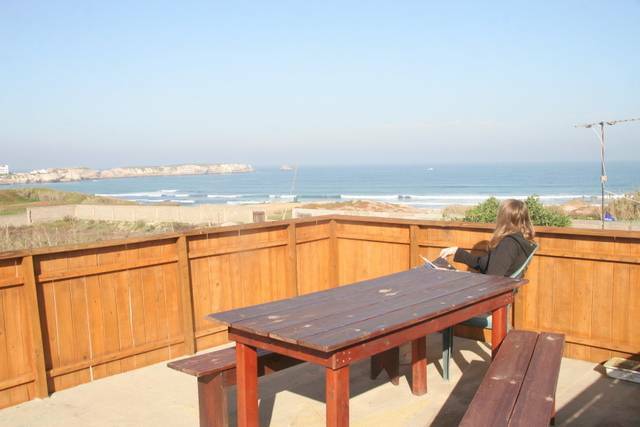 Peniche Surf Camp Base has got ocean view and is located 100 meters from 3 excellent waves to surf. In a 15 Km radius you have more than 20 waves to choose from, being one of them described as the best left hander in Portugal, Super Tubes. You have a supermarket, several restaurants, several surf shops, ATM machine close by and several bars and discos to go out at night. Nice and cheap, just around the corner. Depending on the season of the year we have extra rates for private room, private apartment, beach house. 5% discounts for groups that book 7 nights accommodation and 5 days of surf lessons. After we received the booking instructions, we'll e-mail you immediatly giving you the exact rates on your stay, the amount that you must deposit in our account for reservation(30% of the total) and the payment options. When that payment is received in our account your place is effectively booked, and you'll receive instructions and tips on how to be prepared for your stay in our surf camp. We'll send you a link by email for you to enter your credit card details and therefore perform the payment. The transaction is totally secure, using the services provided by Paypal . After the transfer is done, it is required that you send us the name of the person who did the transfer, country and the MTCN number (Money Transfer Control Number), composed of 10 digits. In the case of a cancellation by the client, we don't return the deposit fee but we give the chance to use the same deposit with other dates, minus a fee, depending on the new dates. To get to Peniche Surf Camp from Lisbon airport is not difficult: you have to go to the highway A8 direction Loures. Once on the A8 you have to drive about 70 KM until you see the exit to Peniche. Attention: there are two exits to Peniche on the highway. Do not exit on the first, because it will take you through secondary roads to Peniche. You should take the second exit to road IP 6. It's exit number 14. You drive all the way until you find the first round about. You follow straight and on the 3rd round about, just before you enter Peniche city, you turn right to BALEAL. We are at Baleal on the main road. The easiest way to get to Peniche surf camp is to request a transfer service from us for 90 eur. We will pick you up at the airport. When you exit the airport door there will be a person holding a name board with your name written on it. This person is the driver who will bring you to Peniche surf camp . By bus from Lisbon airport: the best way is to get a taxi from the airport into the central station with the address Praça Marechal Humberto Delgado- Rua das Laranjeiras and then get an “Expresso” bus to Peniche. Timetables are available at our website under "Getting There". Once you know what time your bus will arrive to Peniche, let us know by giving us a call and we'll have someone waiting for you in the Peniche bus station. This pick up service is free of charge if you are taking accommodation and surf classes. All the other costumers pay 5 eur for the transfer. Just be sure to get out in the actual bus station, last stop. The bus stops in the middle of the town first before the bus station. Nearest airport: Lisbon airport is the closest one (45 minutes drive, 1h35m by bus).